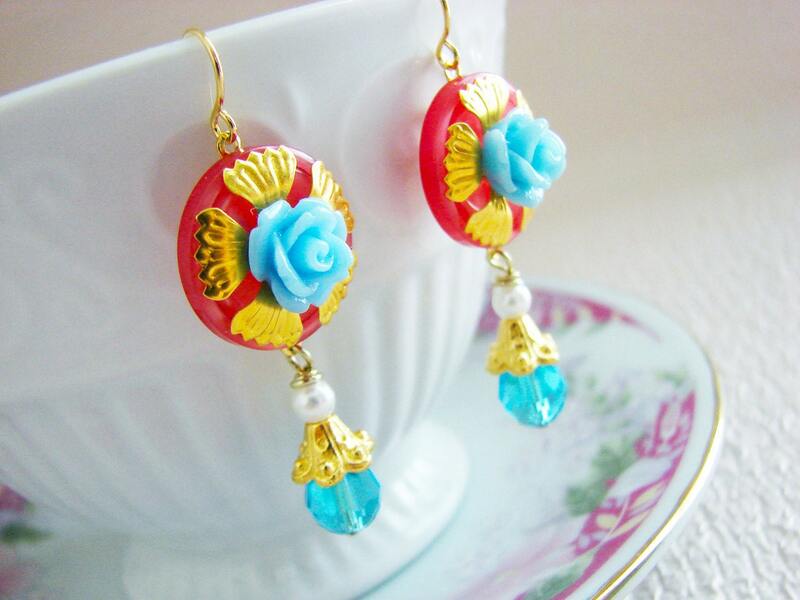 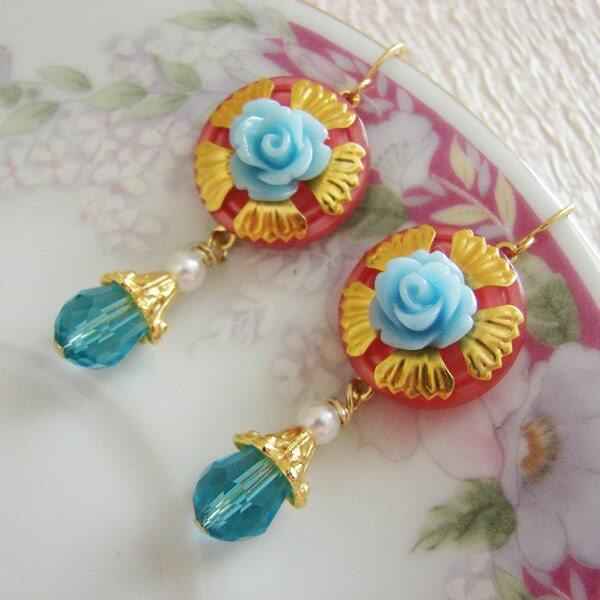 I made these pretty earrings with lots of pretty elements suited for a princess. 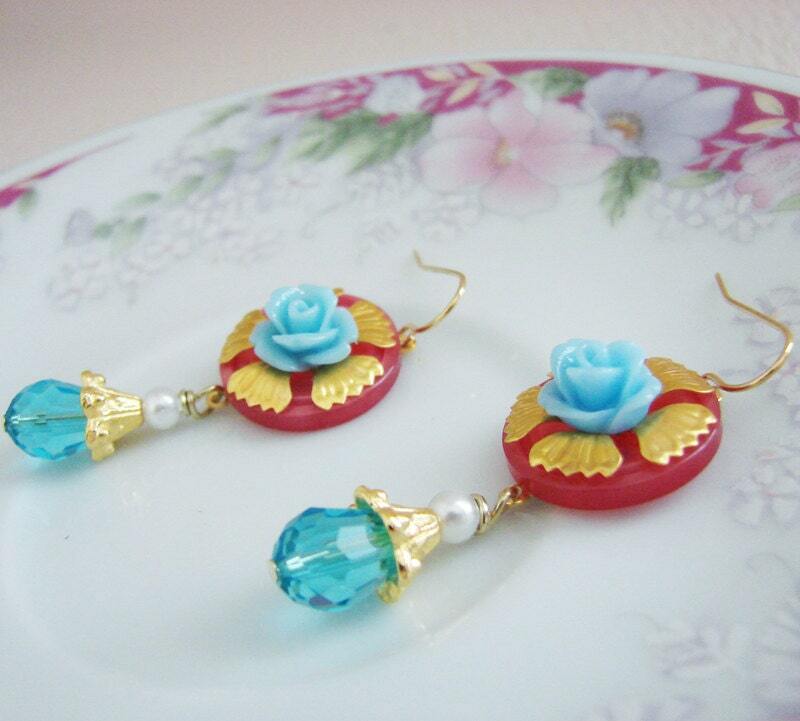 There are hints of gold in the handcrafted cabochon as well as the pretty flower bead cap, the glass crystal dangle sparkles in the sunlight and exaggerates the loveliness of the blue flower, and of course there is a tiny pearl on each earring. 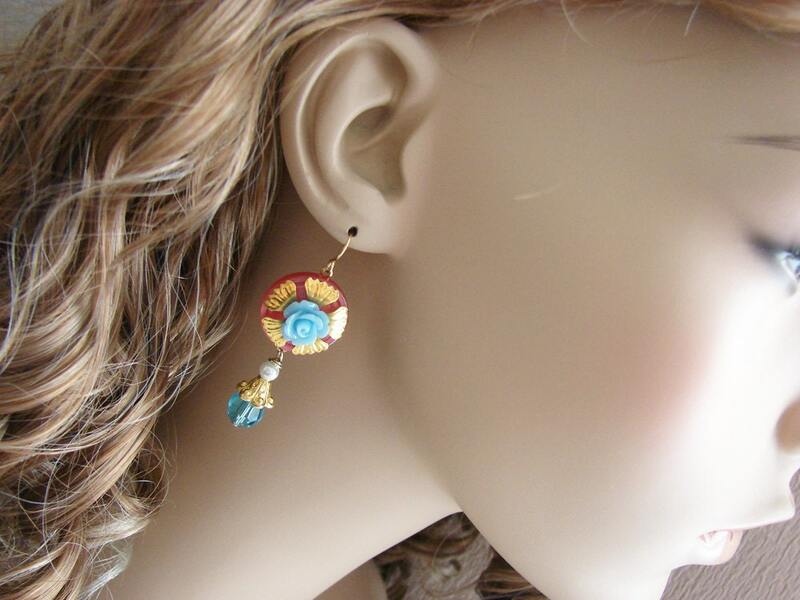 The dangles are hanging from a gold toned surgical steel ear wires. 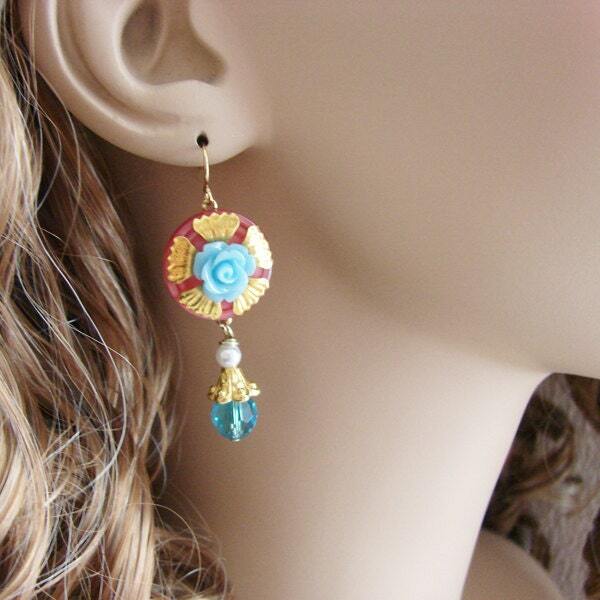 The adornments hang just under 2" (51mm) from the top of the ear wire to the bottom of the sparkling crystal bead.